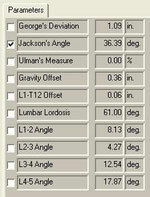 Guided Mark-Up for Podiatry also available in Metron-MD 7.20. 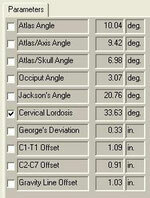 Information below lists the Guided Mark-Up measurements available in Metron-MD referencing lateral cervical and lumbar spine measurements. 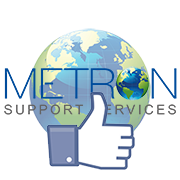 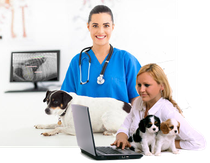 Click here to begin an online training session specifically designed to walk you through the steps for each lateral lumbar measurement supported by Metron.